The Best Career Woman Blogs from thousands of Career Woman blogs in our index using search and social metrics. We’ve carefully selected these websites because they are actively working to educate, inspire, and empower their readers with frequent updates and high-quality information. Career Woman newsletter is a comprehensive summary of the day's most important blog posts and news articles from the best Career Woman websites on the web, and delivered to your email inbox each morning. To subscribe, simply provide us with your email address. London, England About Blog This blog is a destination for The Career Girl In Heels! We create content for millennials that makes a difference, supported by data and sales. Facebook fans 36,906. Twitter followers 56. San Diego, California About Blog Classy Career Girl is now one of Forbes 35 Most Influential Career Sites and a leading destination for ambitious women, currently reaching millions of women each week. At Classy Career Girl, we are passionate about helping women who want to make a difference in the world. We are providing an e-learning platform designed to be a one-stop-shop for all women in career transition. Facebook fans 31,172. Twitter followers 8,271. So Cal, Las Vegas, and Phoenix About Blog Read the latest articles from the brilliant women of the Ms Career Girl team. This is a career blog for ambitions young professional women. Find women's career building tips, motivational advice, and more. Facebook fans 6,431. Twitter followers 12,431. Wilton, CT About Blog Find information on expert career coaching, leadership training, career success seminars, and resources for professional women. As a women's career coach, writer, speaker and trainer, Kathy helps women dig deep, discover their right work, and find their career bliss. Facebook fans 6,611. Twitter followers 12,250. Seattle, WA About Blog A Seattle-based career development and business consulting company founded by a top expert in women’s careers, Lisa Quast, a certified career coach and mentor, and award-winning author. Career Woman Inc. is for women who strive to grow professionally, maximize their job potential, resolve a workplace issue or develop a new career path. Glean advice, get candid answers to questions, and discuss professional issues that uniquely affect women in the workplace. Facebook fans 4,999. Twitter followers 4,943. New York, USA About Blog Follow the Your Career Girl blog to get professional advice and career development strategies for women professionals ready to learn how to create authentic and fulfilling careers. Facebook fans 602. Twitter followers 133. Los Angeles, CA About Blog Career Contessa is the only online career advice publication and expert mentorship service exclusively built by and for real women, to guide, inspire, and empower them to create careers they love, on their own terms. They are helping women build successful careers and bridge the workforce gender gap. Facebook fans 17,196. Twitter followers 10,606. Cincinnati, OH About Blog Dr. Monique C. Johnson is the founder of Dr. MCJ Consulting, LLC a boutique based consulting and coaching firm that specializes in career development, diversity consulting and leadership. She empowers young girls and women to pursue fulfilling career opportunities that speak to their heart. Facebook fans 176. Twitter followers 1,816. The Netherlands About Blog Corporate Career Girl is an online community and a fast growing career platform. We are on a daily mission to equip and empower career girls of all backgrounds with the right career resources and tools to succeed in the workplace. Find latest corporate career advice and tips for the everday career girl in the corporate workplace. Learn how to own the workplace with confidence. Facebook fans 651. Twitter followers 1,542. San Francisco, CA About Blog This is a subreddit for career women to discuss challenges and triumphs in their career, give and seek advice, share articles about successful women or career tips, and the ever-present work/life balance issue. Facebook fans 1,188,042. Twitter followers 550,948. New York, NY About Blog Women For Hire, the leading women's and diversity career recruitment specialist, offers comprehensive products and services exclusively for top employers in every field that support and enhance your company's commitment to diversity. Facebook fans n/a. Twitter followers 50,292. New York About Blog We are a career resource for professional women. We provide advice, coaching and networking opportunities to empower you as you navigate your path at work. Facebook fans 114. Twitter followers 7,410. San Diego, CA About Blog My name is Jessica, and I’m the writer and master content strategist behind this lifestyle blog. I am a career woman, a science nerd, mom of 2 cats, a sporadically avid reader, and a habitual writer. This blog is for the 30 something women in corporate America who like to read about personal development, career growth & evolving aspirations! Facebook fans 639. Twitter followers 858. About Blog The Forem helps women develop critical skills early in a career to help move up the ladder and improve a company’s bottom line. We help businesses discover the extraordinary talent within their teams who will change the company’s trajectory or lead to the next innovation. This is a career site for women to connect, meet peers and mentors. Access to career experts and HR advocates to help manage through sexual harassment. Facebook fans 492. Twitter followers n/a. Lexington, Massachusetts About Blog IamBackatWork is a community that offers career advice for women seeking to return to work after a career pause, transition to a new career, or advance in their current careers. Facebook fans 168. Twitter followers 177. Denver, CO About Blog Professional development for women on a mission. Aimee Cohen is the “Career Dream-Maker!” More than professional development … it’s professional empowerment! Join the WOMAN UP! community and be first-to-know about career success tips, events, publications, and new products. Facebook fans 1,357. Twitter followers 1,369. About Blog I help millennial women in corporate take back their life and design a career with purpose. Career Advancement and Transition for high achievers. Facebook fans 18. Twitter followers 64. Houston, Texas About Blog I'm Nancy Gettridge, Founder of Phenomenal Image. I help women see themselves as qualified leaders and risk-takers. I coach you on how to take control of your career. Through articles, tips, and news, we help you shine in your skin. Charlotte, North Carolina About Blog Ericka Spradley's blog is the place to become a Confident Career Woman today! Learn skills for interview mastery and career strategy. Find encouragement on reaching for your own career advancement and learn how to avoid the common issues women face in their careers . Facebook fans 327. Twitter followers 102. 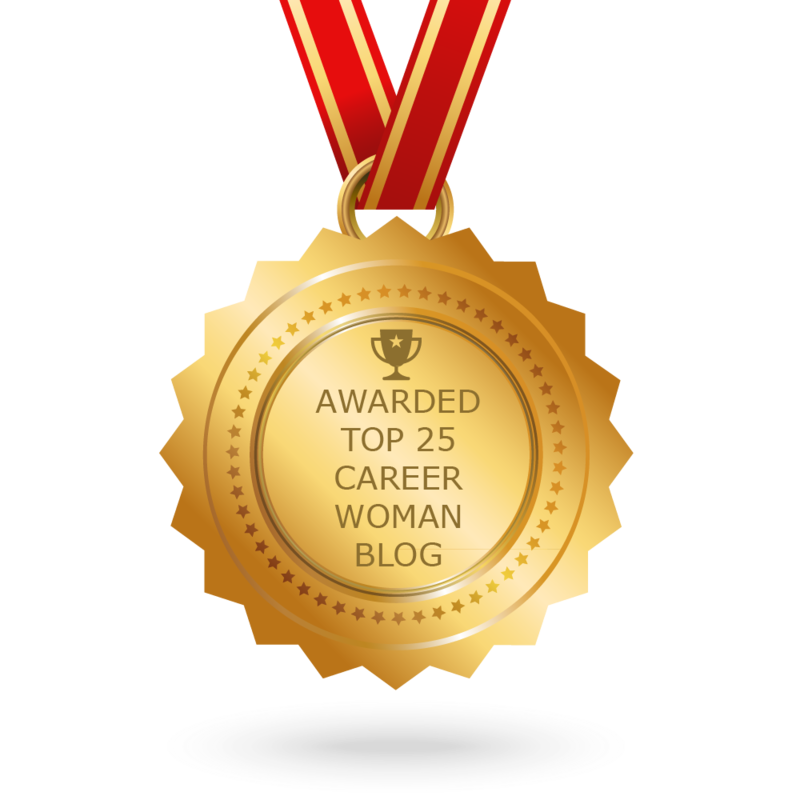 CONGRATULATIONS to every blogger that has made this Top Career Woman Blogs list! This is the most comprehensive list of best Career Woman blogs on the internet and I’m honoured to have you as part of this! I personally give you a high-five and want to thank you for your contribution to this world.